The community return with all their Gameweek 3 tips. Liverpool and Manchester City players continue to be popular options. The Fantasy YIRMA Preview brings player picks right across the pitch, plus an option for those managers playing the draft game. Should owners of Josh King be more patient with a home game against Everton next? FPL Braveheart has done a great job of combining the expected goals, assists and clean sheet data, to identify players who have underperformed from an FPL perspective. The points are coming for Aubameyang and Davies. It's back! I've updated the xFPL spreadsheet (see link on my profile) for the start of this season. Instagram favourite, Fantasy Football Fairy, selects the key player picks ahead of Gameweek 3. With premium, mid priced and budget selections in each position for Pundit Arena, there’s something for everyone here. FPL Vs has all the prior performance statistics for this weekends fixtures. Again, it’s Josh King that has the history in his fixture. Kane could face a tough test at Old Trafford in the Monday Night Football. In a brand new article for Fantasy Football Hub, Fergi shares his differential watchlist for the Gameweek 3 tips. As the template emerges, it’s important to have some lower ownership players to gain an edge over your rivals. The FPL Team Planner tool, available via Premier Fantasy Tools, allows managers to sync their team and identify potential upcoming transfers. Check it out to help with those final Gameweek 3 decisions. While many managers are rushing to jump on the bandwagons, JERR is predicting the next form players in his Under the Radar column for FPL Bet. It’s an interesting few weeks ahead, with some big fixture swings. Each week JERR takes a look at his favourite #FPL stealth picks! There’s plenty of Gameweek 3 tips in the latest FPL Family live stream over on their YouTube channel. The Jammy Picks feature is becoming increasingly popular, could this be the week for one standout option? It’s no surprise that Liverpool defenders are popular, with back to back clean sheets to start the season. Robertson has been the go to selection, but the Editor has identified a significantly cheaper alternative in the underlying statistics. There’s a brand new community podcast this week, packed with Gameweek 3 tips. Hosts Jack and James, present The Numbers Game podcast, with a statistical analysis of all the popular players. Check it out! FPL Ref takes things to the next level with a look at how the men in black can influence our fantasy returns. Manchester City could have things going in their favour, alongside Liverpool and Chelsea assets. The absence of some key players won’t help Brighton’s case, as they travel to Anfield for a tricky fixture. Lewis Dunk in particular will be a big loss in the heart of their defence. Advantage Liverpool attackers? In this weeks community dilemma, WGTA and Stag debate whether to accommodate Aubameyang or Mane in your team. It’s difficult to find the balance of funds, could the fixtures swing it? The press conferences have been a little simpler this week, but there’s still some important points to note that could influence your FPL team. Connect brings all the updates to the blog. It looks to be another tricky week when selecting your captain, with Salah and Aguero the two most popular options once more. Will you let your heart rule your head? FPL Fly shares his thoughts. 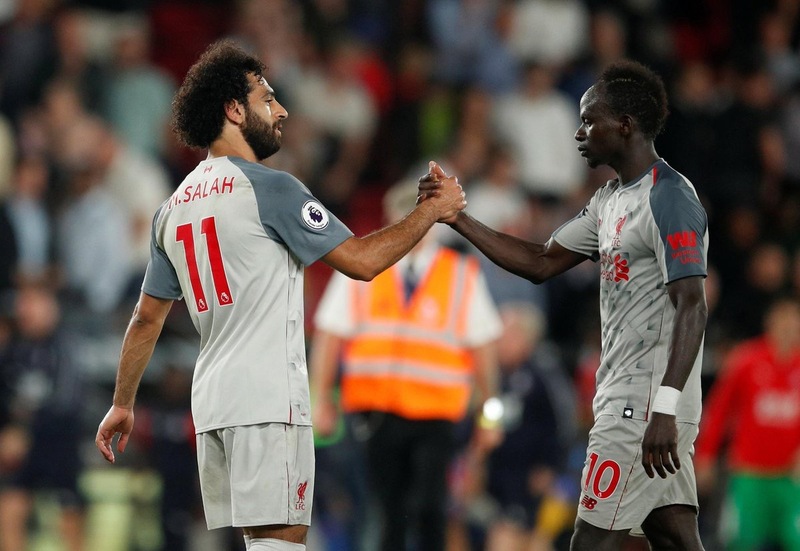 Before you go… if you are looking for even more Gameweek 3 tips, check out some of our other articles from this week. The Fixture Charts make interesting reading. We take a look at the Fixture Difficulty Charts for Gameweek 3 onwards. With some huge fixture swings, which teams and players should you be investing in?